Some issues have cropped up over the years with a few models and designs of Ford cars. In this article, we are going to outline some common ones you may run into with your Ford, and the engines inside of a Ford truck or car. And whether it's worth repairing a ford engine or selling a blown engine ford truck. Introduced in the 70s between the F-100 and the F-250, the F-150 quickly became Ford’s best selling product. Soon after, Ford started using it’s all-too-well-known “Built Ford Tough” motto. The Ford F-150 has become a household name by itself since then. Who hasn’t heard a voice on TV say “Ford F-150, Built Ford Tough”? I haven’t seen Dennis Leary in a while but I always hear him. For decades, the F-150 has been a reliable and solid form of transportation of both people and goods. Many different versions of this vehicle typically last for years if properly taken care of. However, a range of problems can crop up during your tenure with the F-150. In more recent years, the Ford engine problems have happened so frequently that the National Highway Traffic Safety Administration looked into the F-150 after numerous engine problems were reported. And the last thing any Ford truck owner wants is engine failure in their truck. Some common engine models that have problems include Ford 6.2 engine problems, Ford EcoBoost engine problems, Ford F-150 5.0 engine problems and Ford V-10 engine problems. Since Ford truck owners have a tendency to tow heavy loads, or do some hard driving like off-roading. The constant pressure can cause failed transmissions, or oil pump failures. One of these problems that popped up caused a recall of a number of trucks for the 2017 model. It was a transmission complication which resulted in the vehicle being unable to shift gears. A few outliers would malfunction to a point where the car would be in park but the transmission would keep moving. A danger to anyone who didn’t realize it. There have been a few recalls in the past decade but not all of them are engine related such as this one. If we were to go over every single recall then this article would be the length of a trilogy series. And when your truck has engine problems it can be impossible to trade in a truck with mechanical issues. The Ford F-150 will sometimes have a head gasket leak. This occurs when engine oil builds up in the exhaust system. The biggest indicator for a gasket leak is the smell of oil burning. The smell will come from the engine. Luckily, even if you do run into this problem, this is one of the cheapest and more easily solvable issues with the Ford F-150. However, it is still something you should look out for. Even a small problem should be solved before it turns into a speed bump of life. In case of any issues with your engine you should definitely undergo some engine problem diagnosis by a professional. This could save you thousands of dollars. The recirculation sensors will occasionally stick, which is caused by the build-up of carbon. The carbon is the result of many miles put on the F-150. Once the sensors are worn out, the engine will become unbalanced. It’s recommended to change your sensors about every one-hundred thousand miles but it doesn’t hurt to change them even sooner than that, of course, if it isn’t too much of a problem. On models from the mid-2000s, there was a bit of trouble with the spark plugs. In models specifically for the years 2004-2008, when you tried to remove the spark plugs, the tip would sometimes break off keeping the rest of it jammed in the cylinder. The main reason this problem popped up was that Ford didn’t recommend changing it every 30,000 miles, which was the standard, but rather every 100,000 miles. If you own or owned a 2004-2008 model then you may have already paid a hefty price to get a chunk of spark plug removed from your vehicle. This could be one of the reasons your engine is stalling. The costs on all of these problems will vary widely. Some of them are an easy fix while others could take thousands of dollars to repair. The reliability of Ford is historically well known but recently it could be a roll of the dice. 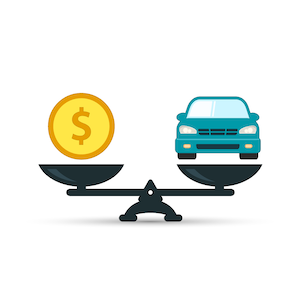 There is always that time in a car owner’s life where you have to weigh the option of the cost of repairs to just selling your car and buying a new or used one. If you have a car that is a bit banged up with an engine that is rattling or even a completely totaled or considered a “junk” vehicle then you can always try to sell your truck and start anew. The founding of CarBrain was driven by the idea that cars could be sold through the world wide web with little to no drawbacks. Our service is completely free! So even if you just wanted a quote for your car, you can fill out some information and an offer will be given right away. You can accept it or if you want to give more details about your car, you can call, text or email one of our representatives to help you get a better offer from one of our buyers. There is probably some skepticism which is understandable. If you do have some doubts then check out some reviews from either Google or Trust Pilot. Reading a few will give valuable insight into how the whole process works from the first-hand experiences of clients. We hope to remove any doubt or discomfort you have about an online car removal service! When you're ready to sell your truck, you can get an offer and have your truck towed for FREE in 24-48 hours simply click here to get an offer today.